The Stax Music Academy's summer session closes with a chance for the kids to flex their soul fingers before a live audience, and in this they will have a little help. Joining the students for this "A Journey of the Soul" concert are a couple of Memphis-music luminaries. Grammy-certified saxophonist Kirk Whalum — who also happens to be president and CEO of the Soulsville Foundation, which runs both the Stax Music Academy and the Stax Museum of American Soul Music — will be on hand. 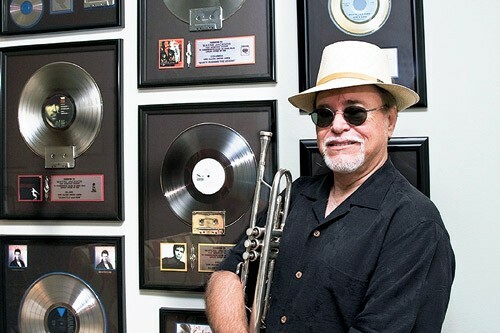 And flanking him will be a representative of the label's golden age: trumpet player and one half of the Memphis Horns, Wayne Jackson. The concert is Friday, June 25th, at 7 p.m., at the Victory University auditorium (formerly Crichton College) at 255 N. Highland. Tickets are $10. Purchase advance tickets at the Stax Museum or call 946-2535.